Jim is the F.M. 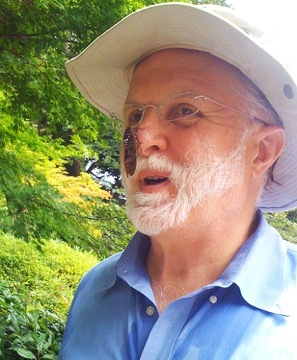 Kirby Professor at The Rockefeller University, and he leads the Laboratory of Sensory Neuroscience there. In addition, he is a Howard Hughes Medical Institute Investigator. Jim received his bachelor’s degree in biochemistry, as well as his MD and PhD, from Harvard University. Afterward, he completed a postdoctoral fellowship at the Karolinska Institute in Sweden. Jim has since served on the faculty at California Institute of Technology, the University of California, San Francisco, The University of Texas Southwestern Medical Center before joining the faculty at Rockefeller. Jim has received the Charles A. Dana Award for Pioneering Achievements in Health and the W. Alden Spencer Award from the Columbia University College of Physicians and Surgeons. Additionally, he is a recipient of the Ralph W. Gerard Prize from the Society for Neuroscience, the K.S. Cole Award in membrane biophysics from the Biophysical Society, the Award of Merit from the Association for Research in Otolaryngology, and the Guyot Prize from the University of Groningen. He is also a member of the National Academy of Sciences and the American Academy of Arts and Sciences. Jim is here with us today to tell us all about his journey through life and science. As a resident of New York City, Jim enjoys spending his free time taking in the spectacular art work at the Metropolitan Museum, the Neue Galerie, and the Museum of Modern Art. He and his wife also like to sample great restaurants in the city and indulge in excellent theater performances. In the lab, Jim studies hearing to address common hearing problems and to understand how the ear is able to accomplish impressive feats such as allowing us to hear very high frequencies, sensing extremely small vibrations, and detecting sounds across a large range of amplitude or power. Jim is motivated by a deep curiosity about the world and about our sense of hearing. From when he was very young, Jim was fascinated by science and the natural world. He had vast collections of rocks, fossils, and insects, as well as quite the collection of pets. Jim and his brother often visited the nearby park after school and enjoyed learning about the animals they found there. They collected box turtles, built them a stately enclosure, and fed them with discarded produce from the local grocery store. After a short time in captivity, the turtles were released back into the park. A low points in Jim’s career occurred when he was department chair in neuroscience at another university. Jim was promised resources to recruit excellent faculty to the department, but this promise was not upheld and the much-needed resources were never provided. The situation turned from bad to worse, and after his office was moved to the basement next to the morgue, Jim decided it was time to move on to another opportunity. One of the areas Jim’s lab studies is related to the active processes by which the ear can amplify and begin to process sound. They were trying to assimilate many observations from different researchers, and he and a collaborator discovered that a mathematical theory called the Hopf bifurcation explained the complex results in a wonderfully simple way. This was a really surprising and exciting discovery. Jim had an opportunity to travel to Japan to give a series of lectures in Niigata. Niigata is a small town that has been named the sake capital of the world. He was impressed by the fantastic sea food, including some particularly exotic entrees. Jim had a great time interacting with the students, and it was nice to get to know some of them since he was there for two weeks. This was much longer than his usual whirlwind tour traveling. Having a career in science allows you to connect with people across the world, and you form wonderful friendships and collaborations internationally. There is generally a sense of openness in science that you don’t see as often in other careers. Currently, Jim has people working in his lab from many different countries, and they all get along, share ideas, and work well together. Having this extensive network means that Jim has friends and colleagues to visit no matter where he goes in the world. Jim was born in 1945 in Houston, Texas, USA. After completing his undergraduate training at Harvard College in 1967, he received his PhD from Harvard Graduate School in 1973 and his MD from Harvard Medical School in 1974. Following a year’s postdoctoral training at the Karolinska Hospital in Stockholm, Sweden, he joined the faculty of California Institute of Technology in Pasadena, California in 1975. Jim moved in 1983 to the University of California, San Francisco, where he directed the Cell Biology Program; in 1989, he relocated to University of Texas Southwestern Medical Center at Dallas, where he chaired the Department of Cell Biology and Neuroscience and founded the Neuroscience Program. After joining Howard Hughes Medical Institute in 1993, he moved in 1995 to The Rockefeller University, where he is F. M. Kirby Professor and Head of the Laboratory of Sensory Neuroscience. Jim conducts research on hair cells, the sensory receptors of the inner ear. He and his colleagues are especially interested in the active process that sensitizes the ear, sharpens its frequency selectivity, and broadens its dynamic range. They also investigate the replacement of hair cells as a potential therapy for hearing loss.